Today is a historic day and must be celebrated by all those who believe in social justice. 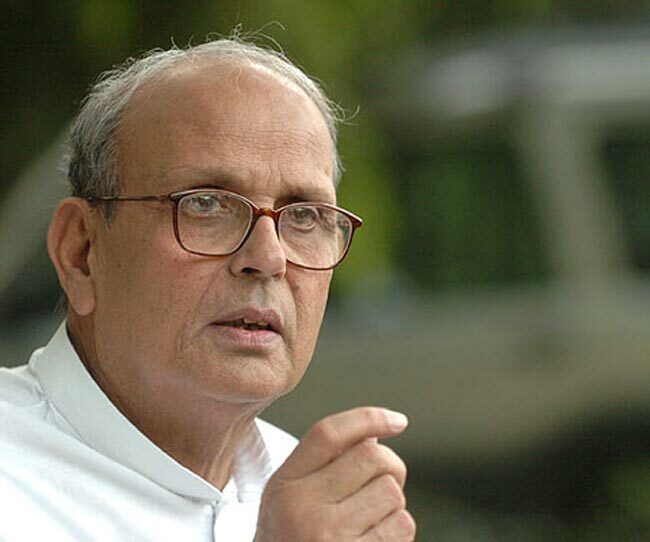 On this day in 1990, the then Prime Minister Vishwanath Pratap Singh, accepted the recommendations of the Mandal Commission Report in Parliament. The hero of the nation, a man of great integrity in his own personal life, V P Singh became the biggest villain for the Savarna status quoists. Suddenly, we found, all of them, despite different political thoughts and socio-cultural background, abusing him, hurling on him the filthiest abuses. The Sanghis, Congressis, even the so-called progressives got united in opposing it. The liberals felt it was an invitation to inflicting caste system and most of them were sympathising with those who made every effort to stop the government its acceptance. With in the Janata Dal, the Samajwadis led by Chandra Shekhar, were uncomfortable with it and finally broke with the party on the issue of Ayodhya, an issue, cleverly brought by the Sangh Parivar and its political representative Lal Krishna Advani, who realised that the Sangh cant be seen opposing reservation for OBCs in public even when their entire cadar was up against it and sitting on the protest. Congress which should have protected a government dedicated to social justice and secularism actually smelt power and acted swiftly in the same way as it did in 1978 when it pushed ambitious Charan Singh to be the prime minister. This time, the ambition of Chandra Shekhar was used to break a government and many other jumped into the bandwagon according to their own conveniences. Those considering media as the ‘voice’ of the nation must go through their dirty role during the Mandal 1990 and Ayodhya 1990. As we did not act and made these patrkars and their editors as God, things happened. The Hindi media had turned into a brahmin Bania Hindu media that time. The language that Arnab and others in the gang use against the opponents were used by the likes of Dainik Jagaran and others who flouted every ethic and norm to destroy the credibility of the government and create lawlessness in the name of rightful protest. The one man who is a hero today for many of the anti Modi journalists and whose secular credentials and even fairplay towards social justice has always been questioned is Arun Shourie who launched a malicious and sinister campaign against the Mandal Commission and accused V P Singh of foul play. Shourie’s heart melt for the upper caste students protesting and he went to the extent of asking them to do every possible thing to stop this judgement. In other words, Shourie actually instigated violence in the street. The same Shourie, who did not utter a word against Gujarat 2002 and remained a Minister at the Vajpayee government and was a darling of the corporate houses who were interested that government sale everything under it. Anyway, if there is an independent commission on media’s unethical role to dislodge a government and stop it from implementing a decision, then the anti Mandal farce led by Shourie and others in the Savarna media must be exposed. While V P did not get anything politically as Mandal forces failed in developing a collective spirit. Parties were dominated by castes who were just interested in using the smaller castes as their so called outreach yet most of them were basically depended on their own castes. The entire theme of social justice was made a laughable stock by the caste minds. The personal ambitions of the politicians grew and rather than working for the community, it is leader who started flirting with the Sangh Parivar and other savarna hegemonists. Every ambitious leader actually betrayed the community they belong to because the issue of reservation was easily forgotten. In the guise of sub judice or under court, reservation for the OBCs could not be fairly implemented. Before, it could be done, the crooked Savarna lobby worked against it and rest is history. The parties swearing to social justice needed OBC as foot soldiers but in their kitchen they needed the Brahmins as the guide. The result was complete collapse of the Mandal forces since 2009 elections. First Congress’s brahmin lobby decimated them and later in 2014, the Sangh coopted them by using their identity games by pitching one against other. This is the 38th year of it. I know there are going to a number of programmes which is good as we feel this day must be celebrated in true spirit but it is also important that we learn lessons of history and our faults. Will those remembering Mandal ever question the political leadership of their own parties for their grave fault ? Will they tell their leaders not to repeat such things again ? Will they take a promise from their leaders if they come to power they won’t be guided by a brahmanical coterie and focus on democratisation of the system. Mandal is a potent force but for a political leader, merely a report will not make him understand the whole issue of social justice. When did OBC leaders talk of land reform that Mandal report talk about? A huge number of the OBCs remain on the margin, landless like Dalits yet land reforms never came on the agenda of the Bahujan leadership. Second, if you need to enjoy the fruits of Mandal and understand it, important for the OBCs and other Bahujans is a thorough reading and understanding of Baba Saheb Ambedkar, Jothi Ba Phule and EVR Periyar. How many of the political leaders have understood it. I wish if the Samajwadis had celebrated Phule and Periyar too like they do to Janeshwar Mishra. I cant expect them to remember V P Singh ever, at least after his death they could have shed some of their antipathy towards him. In the greater interest of social justice, all the Ambedkarite Bahujan forces must unite and speak about equal distribution of our national wealth. This national wealth can not be handed over the crony corporate in the name of development. The priestly corporate classes have ensured that reservation become redundant as Nitin Gadkari says. They will ensure that before they leave, the government itself become redundant and only power elite here will be the priestly corporate power. The poor will only be carrying the Ganga Jal during the Kanwad yatra in the hope that Bhole Shankar will take care of him some day, very much like an illusory Achche din promised by Narendra Modi. This is a cultural war unleashed upon India’s Bahujans. Mandal day can be an occasion to remember as well as bring together all the forces of social justice. Remember, merely shouting slogans against ‘Manuwad’ will not work. What is more important is the alternative to Manuwad, that Baba Saheb gave to all of us for an enlightened India, the path of Buddha. Can those who carry Kanvad even after getting their job, really care for social justice ? Perhaps they wont even know that it is their right enshrined in the constitution thanks to the work done by Baba Saheb, and all the revolutionaries who toiled hard so that we can enjoy our today. We hope all those who celebrate Mandal day today, will read history of social justice and remember all those who dedicated their lives for building an equitable society based on fair representation for all at every layer of our governance structure. That only will ensure peace and strengthen democracy in the country.